You have a jam-packed day, a to-do list a mile long, a family to take care of, & a million jobs to do....but you skipped breakfast?!? 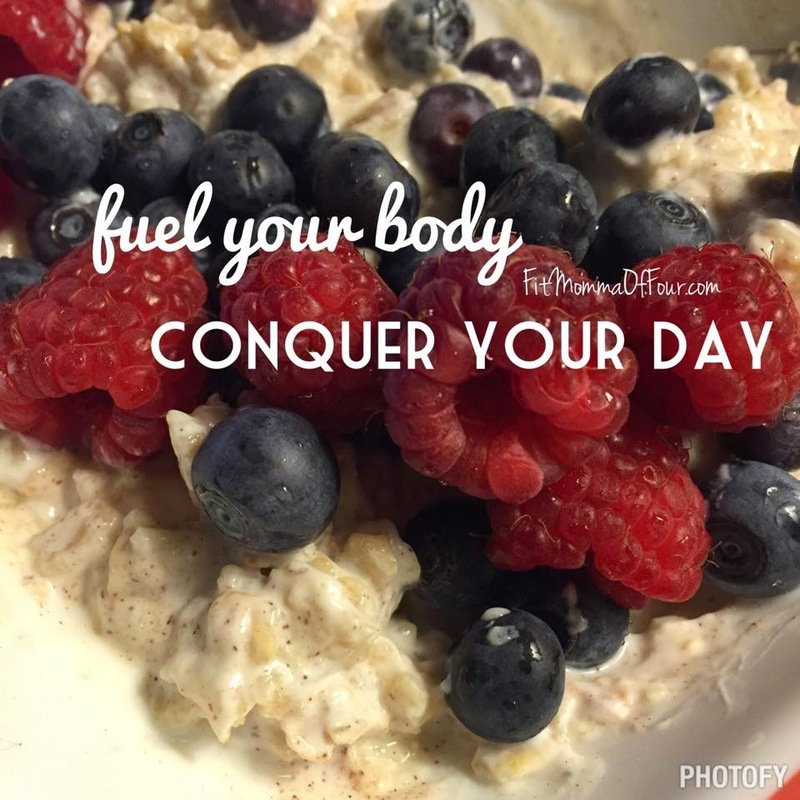 Fuel your body with healthy foods & you'll be more focused & energized to carpe diem! Additionally, folks who eat breakfast are more likely to make healthier food choices throughout the day & eat fewer calories. This morning I prepared 1/2 cup rolled oats with 1/2 cup water - microwaved for 1 minute. Then I stirred in 1/2 cup plain Greek yogurt, a sprinkle of cinnamon, a dab of raw honey, & a healthy deserving of fresh berries. For those of you doing the 21 Day Fix - ‪this is 1 yellow, 1 red, & 1 purple.